In the wake of entertainment-centered movements such as #OscarsSoWhite and Time’s Up, conversations about the lack of nuanced representation of women, people of color, people with disabilities, and the LGBTQ community in media have surged forward with new force. Establishment gatekeepers have traditionally wrung their hands in fear that diverse casts pigeon-hole films, alienate mainstream audiences, or hurt box office chances, but the unquestionable successes of films like Get Out, Crazy Rich Asians, and the super-recent Spiderman: Into the Spider-Verse have more than proved those fears unfounded. These films show that audiences don’t just crave onscreen diversity – they come out in droves for it. 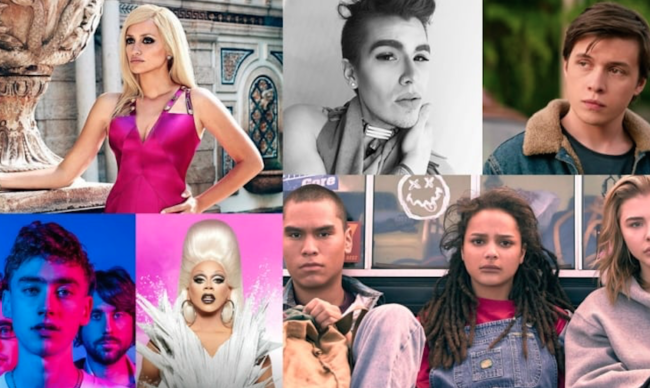 While there are still serious inroads to be made – particularly for disability in media, not to mention how disability intersects with gender – we want to take a moment to honor some rising entertainment icons who are breaking down barriers of race, gender identity, body type, ability, and beauty standards. While the entertainers we discuss below definitely give hope that visibility in entertainment is on the rise, we shouldn’t take them as signs to rest on our laurels for having finally “arrived,” but rather ready ourselves to continue the hard work they’ve started. Listing the ways Maysoon Zayid defies expectations of women in entertainment sounds like a parody of identity politics, which makes it fitting that this Palestinian-American comedian with cerebral palsy has turned to humor as a vocation. And audiences are definitely here for it. In fact, she just signed on to star in an ABC sitcom about a Muslim-American woman with cerebral palsy, taking on a handful of firsts in one fell swoop while adding another promising name to a funny women Hall of Fame in desperate need of growth. With the regrettable lack of visibility of characters with disabilities in media – let alone actual performers with disabilities – one hopes Zayid’s successes mark the start of positive change. Watch her TED talk above and get excited about what this rising star has up her sleeve. Chrissy Metz has touched audiences with the frank depictions of her character’s struggles with weight, fertility, and loss in NBC’s wildly popular This is Us. As if that weren’t enough, her personal background – she grew up a military brat and started her career as an agent – sets her apart from many Hollywood stars, offering an inspiration for industry outsiders. While her nuanced portrayal of a plus-sized woman on television in This is Us has proved cathartic for both the actress and her fans, Metz is also bringing attention to the importance of roles for women who look like her that don’t focus on weight, and looking forward to stories about women of more diverse shapes and sizes that discuss all the “other stuff” there is to explore onscreen. This seriously charismatic host of Netflix’s seriously hilarious baking-fails show Nailed It has made honesty her brand, and her fans can’t get enough. Keeping it real about virtually everything – from “fat jokes” to being single to the dismal baking skills of her guests – Byer is the kind of performer you’d expect to alienate audiences in want of more gentle comedy. Yet even when she’s taking down someone’s spectacular fail of a cake pop, you always get the sense that she wants everyone to be in on the joke. She can take what she dishes out, which makes for a refreshingly inclusive kind of comedy beloved by everyone from children to New Yorker critics. Starting her career as a model, Gwendoline Christie speaks in interviews of her passion for fashion and affinity for a hyper-feminized look, which make the role that shot her to global stardom – the fierce yet honorable knight Brienne of Tarth in HBO’s Game of Thrones – all the more subversive. In an entertainment climate where even “strong,” outspoken fictional women tend to be thin or petite, Christie (who stands at 6’3”) gives women who don’t fit that image a welcome respite from dreaded #tallgirlproblems. 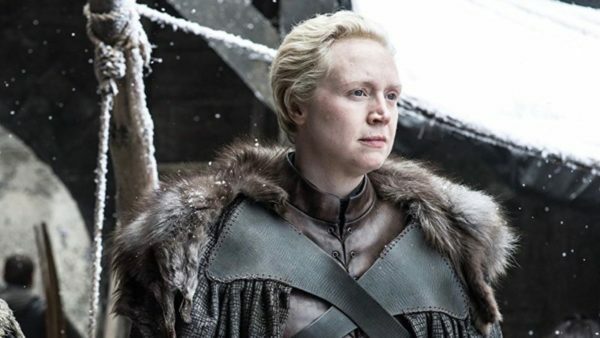 While critical responses to Game of Thrones’ representation of women have varied, it’s true that Christie’s Brienne is a source of inspiration for many. She not only sports fearsome fighting skills, but she is also portrayed by the show’s source novels as – in George R.R. Martin’s own words – “ugly”. Audiences love that Christie’s character is given a rich, complex psychology and arc despite defying the expectation that primary women characters be conventionally beautiful. Speaking of defying beauty conventions, Winnie Harlow has offered those with skin conditions a rare role model. Garnering early success on America’s Next Top Model and then in Beyonce’s visual album “Lemonade,” she’s moved on to the Victoria Secret Fashion Show, which made Harlow the first model with vitiligo to walk its runway. Harlow is making waves by representing the skin condition – which causes random patches of skin to lose pigment – in the world of mainstream fashion. 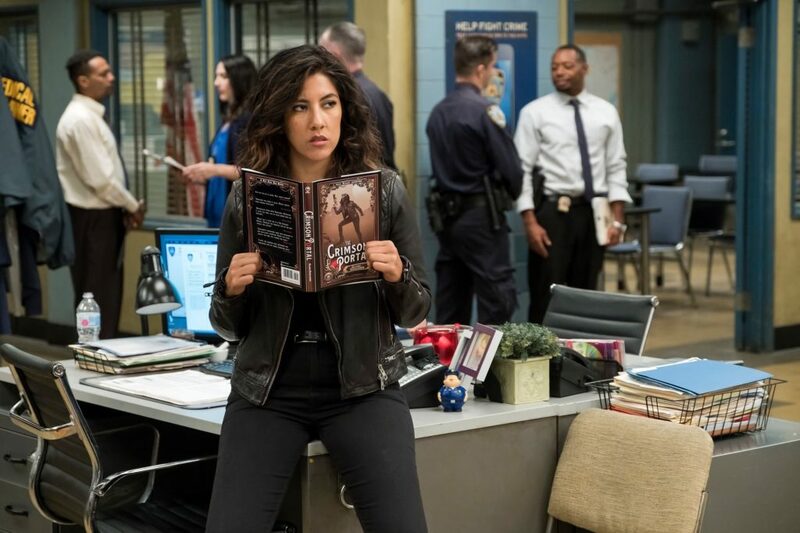 Many audiences were first introduced to Stephanie Beatriz in her role as Rosa on Brooklyn Nine-Nine, which was recently nixed by Fox and then almost immediately picked up by NBC. It wouldn’t be wrong to assume the save was spurred by extremely vocal fans, many of whom feared specifically losing Beatriz’s character. Rosa had not only been a major win for nuanced representation of Latinx women onscreen, but had also recently come out as bisexual on the show – a rarity in an already scarce climate for LGBTQ characters, who reportedly made up only 6.4 percent of characters on broadcast scripted primetime television in 2017 (70 percent of whom were white). As if all that weren’t enough, Beatriz snuck into Netflix’s critically acclaimed, audience-beloved Bojack Horseman this past season with a strong recurring character whose experiences as a Latinx actress in the show’s fictional Hollywood counterpart resonated for many in light of Time’s Up and #MeToo. Identifying as a non-binary Latinx/Chicanx actor/playwright/artivist, Ser Anzoategui has been gathering their powers for a long time, starting out as a writer and eventually landing a role in Hulu’s East Los High. Now, with a starring role in Vida – the Starz series created by Tanya Saracho and set in East Los Angeles – Anzoategui is giving queer and non-binary members of the Latinx/Chicanx communities a much-needed icon. The queer Latinx series has also proved another prime opportunity for Anzoategui to lend representation to the very East L.A. neighborhood where they grew up and have dedicated a large part of their career to supporting. 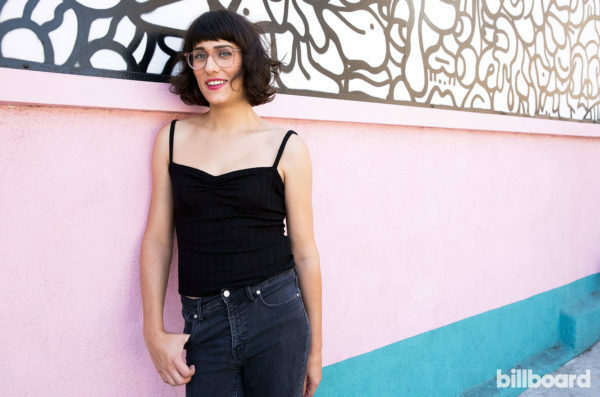 Not many transgender women can say they started out as a teen heartthrob, but Teddy Geiger’s story isn’t every story. Last year, the singer-songwriter joined a growing line of musicians and entertainers who have come out as trans in the public eye. Members of the trans community – itself an incredibly diverse group – are some of the most vulnerable members of the population, particularly trans folks of color and trans youth. It’s no small thing, then, that Teddy Geiger has become arguably the most influential openly trans person in music production today. Though the road toward improvement in trans issues is long, well-loved role models like Geiger help chip away at the challenge.